From "James Levine: Celebrating 40 Years at the Met" CD Box Set Performances of Berlioz’s epic masterpiece are rare events—under James Levine’s inspired leadership, the stellar cast and the Met’s chorus and orchestra triumphantly meet the enormous challenge. 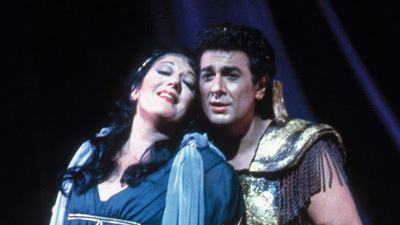 Ben Heppner is the legendary Trojan hero Aeneas who escapes the doomed city of Troy and falls in love with the beautiful Queen of Carthage, Dido, sung by the radiant Lorraine Hunt Lieberson in her final appearance at the Met. 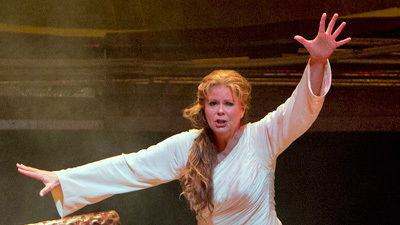 Deborah Voigt is breathtaking as Cassandra, the Trojan prophetess who sees the looming calamity but is ignored.